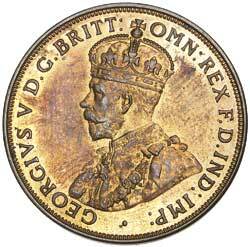 GEORGE V, 1916I. Mirror-like nearly full mint red, uncirculated. GEORGE V, 1916I. 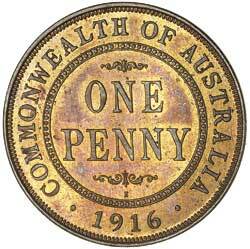 Slight patina on the reverse, mirror-like red obverse, uncirculated.